Electro Rap duo Charisma.com just released a new Music Video for “not not me“, title track of the unit’s upcoming album set to be released on March 22nd via Warner Music Japan. The track is a soothing mid-tempo Electronic number with a linear structure, and makes its simplicity and freshness its main attractions, featuring a slightly melancholic vibe balanced by a catchy chorus that will easily get stuck in your head. 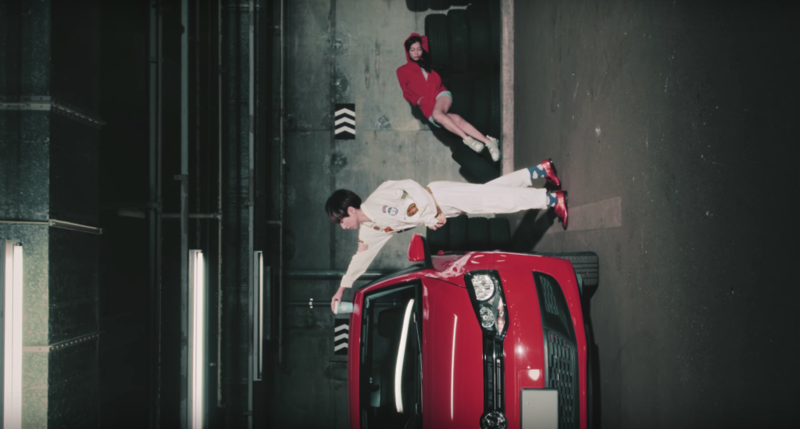 The video is set to a rotated angle, and is edited to look like a continuos long shot, showing the two girls having some sort of problem with a car, and playing with the perspective of the video: it’s simple yet engaging, and… it may make you feel a bit dizzy after watching it. Maybe. But it’s definitely entertaining to watch. Be sure to catch Charisma.com‘s new video for “not not me” down here, as well as all the details for the duo’s upcoming album! Charisma.com‘s first major label album “not not me” will be available on Japanese stores on March 22nd via Warner Music Japan. The duo will also kick off the “not not me” national tour on March 25th at Sapporo’s Sound Lab Mole. Be sure to let us know what you think about this video in the comments!